Wonder what spider venom tastes like? Thanks to some British scientists, you can find out. 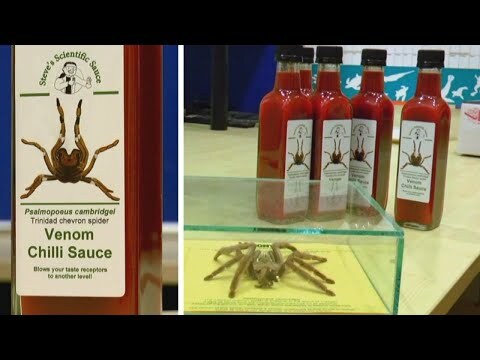 Steve Trim said his new hot sauce was made with help from spiders like the Trinidad chevron. Three-hundred spiders had a hand in making the first batch, which produced 48 bottles. Trim said their hot sauce has been such a hit, it has inspired even more venom-flavored fare. InsideEdition.com’s Stephanie Officer has more.